Your baby needs to eat fat, but we are conditioned to be a bit scared of dietary fats. The low fat diet is really one of the worst dieting fads to have affected us in the western world. Why? Since the introduction of low fat foods we have had an influx of high sugar, additives and flavourings into our diets. To make low fat foods taste nice they are often ‘ultra processed’, and we have to put additives in including salt, sugar and flavourings. Low fat foods are not necessarily lower in calories, because of the added sugars. At the same time as we’ve cut out fat we’ve had a huge rise in chronic health conditions such as obesity, cardiovascular conditions, and diabetes. So why do we need to eat fat? When we eat fat, our body sends out a hormone called ‘leptin’ which send a message to the brain telling us we’ve had enough food for now, and to stop eating. So eating fats helps us manage satiety (when we feel full). Some vitamins are fat soluble so when people have a very low fat diet they may struggle to absorb vitamin A, D, E and K.
We also need fats for all the cells in our body as they are coated in fats. What fats should babies avoid? Trans fats – Babies and toddlers do not need trans fats (e.g. margarine). You may also see this as ‘partially hydrogenated’ on packets. This kind of fat has been modified to be solid at room temperature and lengthens the shelf life of products in which it is used. When we eat a lot of trans fats there is an increased risk of systemic inflammation, coronary heart disease, and diabetes. There is some controversy about saturated fats and how much we should eat. The UK Government recommends men have no more than 30g per day, and women 20g per day, but it’s definitely about the quality of what you eat, and what else you’re eating with it. 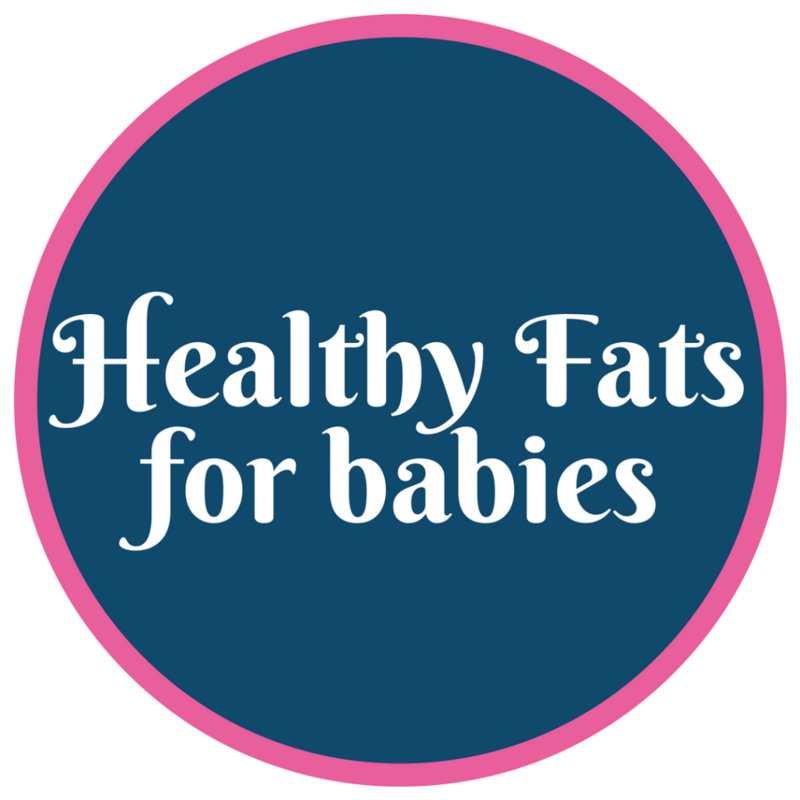 There are no set guidelines the right amount of saturated fats for babies because they still get a lot from milk. What are healthy fats for a baby / toddler? Breastmilk – high in fats (around 60%) for a good reason and it has just the right mix of saturated fats and cholesterol, which are essential to the development of your baby, especially their brain. Butter and cheese – organic is best, but any butter is better than margarine which is high in trans fats. Coconut oil – has anti-inflammatory properties and supports a healthy gut because it includes lauric acid which is found in breastmilk and fights off viruses. Monounsaturated fats help protect our hearts and can be found in plants like olive oil, avocados and nuts such as almonds, Brazil nuts and peanuts. Oily fish – Omega 3 fats are rich in fish from the SMASH acronym (Salmon (wild), Mackerel, Anchovies, Sardines and Herring). These smaller fish have lower levels of mercury than big fish like tuna. If you’re vegan consider a vegan algae based supplement for this essential nutrient. Meat and eggs – if you eat meat some good quality meat can be an excellent source of protein and fats for your growing baby. Eggs are easy to include in their diets through pancakes, omelettes, as well as scrambled, dippy, or poached! If you’d like some specific advice about your child’s diet get in touch with Anna, our registered Nutritional Therapist in Bristol working with families on healthy diets. Anna will run an analysis of your child’s diet before the consultation, and then ask detailed health assessment questions to get a picture of your child’s health. Together you then come up with some healthy additions to your family mealtimes to support optimal health. Free 15 minute consultations are available to see if you’d like to work together.